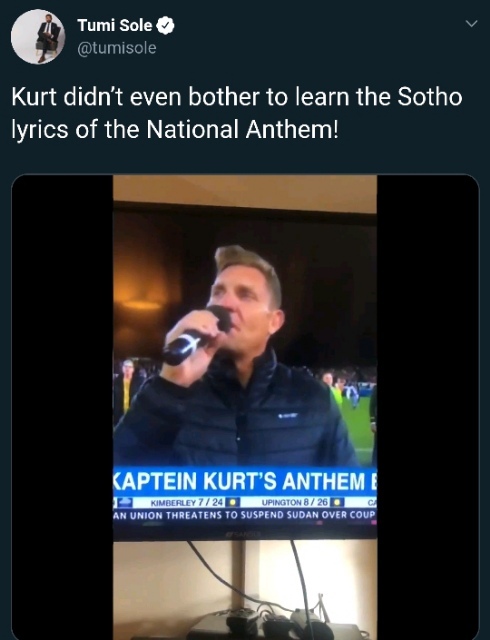 Black Twitter Grills Kurt Darren For Messing Up The National Anthem. 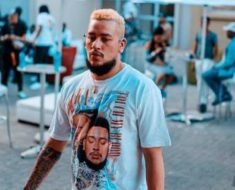 When he started singing the Sesotho part of the song, the singer got the first line of the national anthem right. 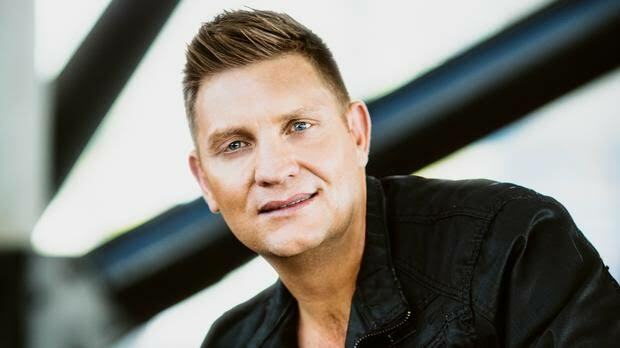 The singer Kurt Darren was given an opportunity to sing the South African national anthem last night, at the FNB Varsity Cup final clash of Stellenbosch University and the University of Pretoria. The event was held at the Danie Craven Stadium in Stellenbosch. 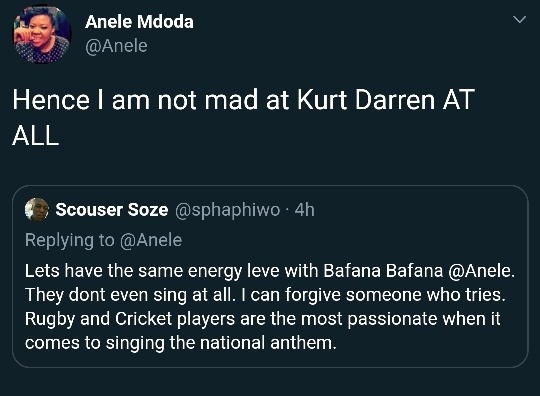 Well, the A f en Af singer was the talk of the nation when he messed up the national anthem. When he started singing the Sesotho part of the song, the singer got the first line of the national anthem right. 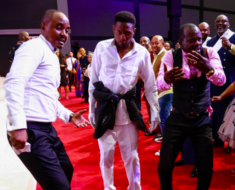 He then messed up the second line of the song , “O fedise dintwa le matshwenyeho”. He instead put the isiZulu line of “Yizwa imithandazo , yethu” line before going back to the next Sesotho verse. One of the rugby players, the video shows one of the rugby players reacting to the flop that he made. The singer finished the song without more mistakes happening. 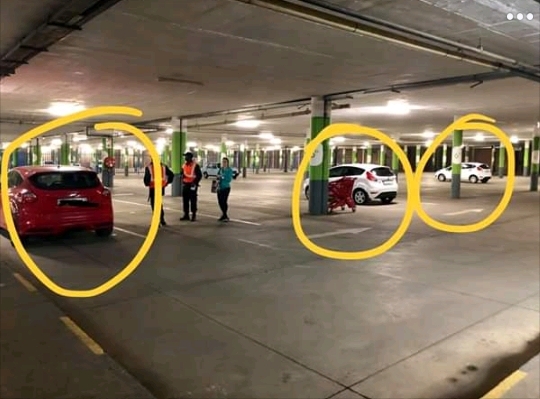 You know tweeps were not about let this thing go at all. 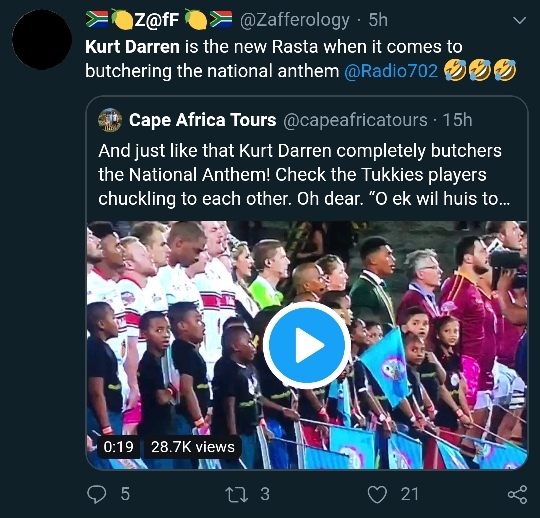 Some of them have said that the singer butchered national anthem. 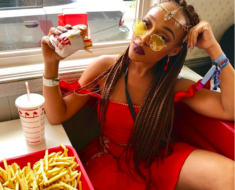 Eusebius McKaiser of Radio 702 wrote on Twitter about how he interviewed the singer today about his mess up. 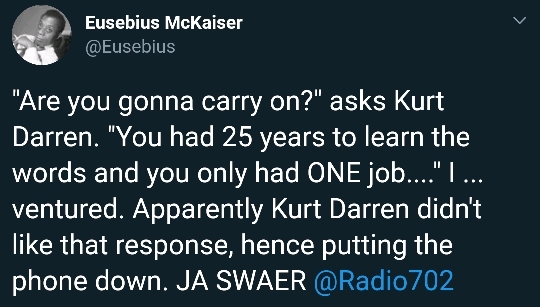 Anele Mdoda also spoke about how she does not blame Kurt Darren after one of her followers replied to one of her tweets about some of the players not singing. 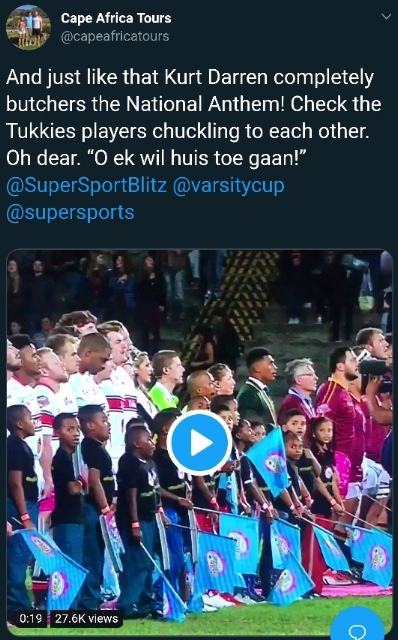 The follower told Anele that the national soccer team should be held accountable as the rugby and cricket teams when they don’t sing the national anthem. 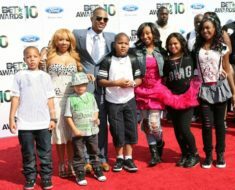 Rapper’s With Plenty Of Children! DMX Has 15!